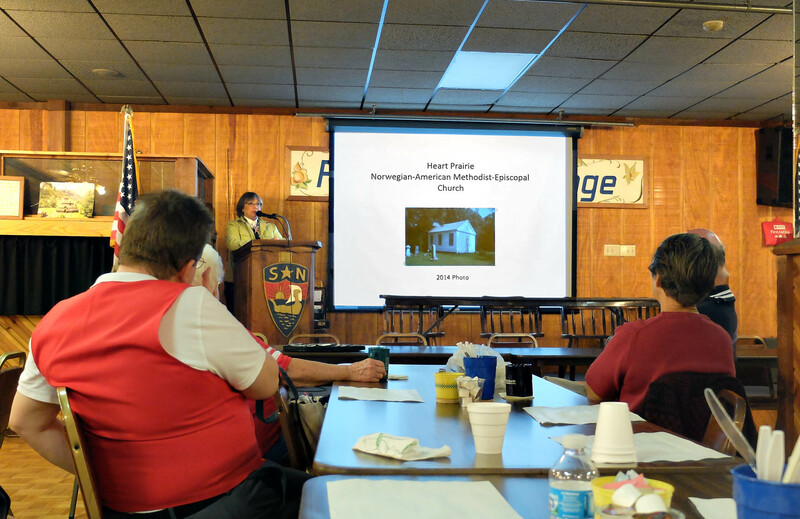 Georgia Kestol made a presentation about the Heart Prairie Norwegian-American Methodist-Episcopal Church to the Nordland Lodge #5-544, Sons of Norway, in Janesville, Wisconsin. The presentation was made on Wednesday evening, September 17, 2014 at the monthly meeting of the organization. Using slides to illustrate her presentation, Kestol discussed the history of the church and the current efforts dedicated to its restoration. The presentation was followed by a question and answer session. This entry was tagged Georgia Kestol-Bauer, Norwegian-American Methodist-Episcopal Church, Sons of Norway. Bookmark the permalink.